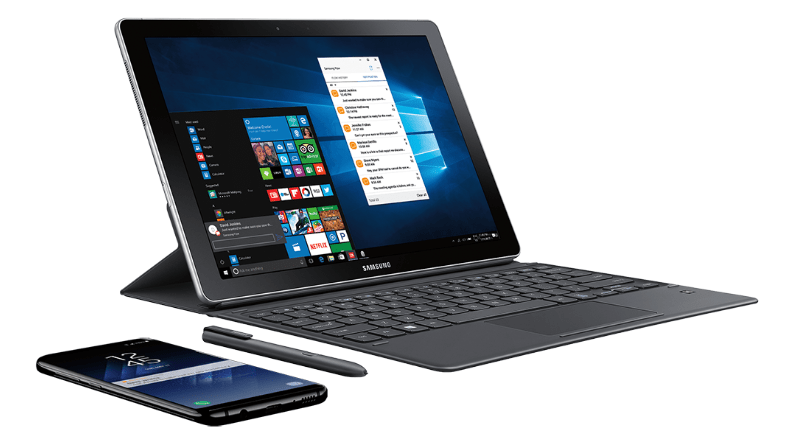 The Samsung Galaxy Book 2 in 1 tab will be available on Verizon Wireless from 21st April. 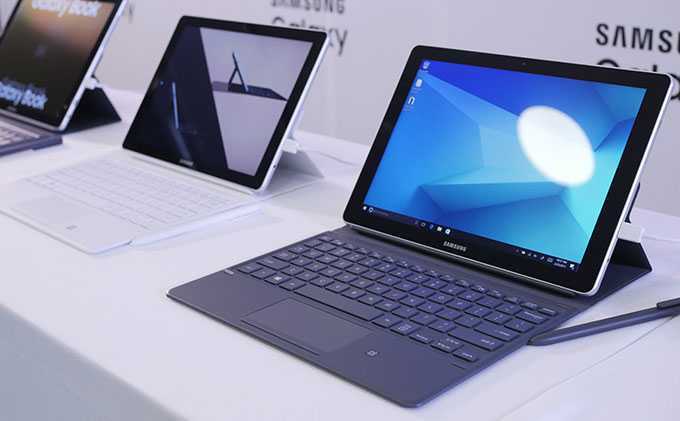 Samsung introduced the 2 in 1 tab powered by Windows 10 at the MWC held this year. The tab is available in two size versions, a 10.6 inches version and 12 inches one. It also comes with two types of connectivity, LTE as well as Wi Fi. You can pick up the Samsung Galaxy Book 2 from Verizon Wireless from the 21st of April onwards. Both the devices come with a QWERTY keyboard that is a snap on type, with the S Pen along with the purchase. The 12 inches, LTE version of the Book 2 will be available for $1299.99. The Wi Fi model for the 12 inches Samsung Galaxy Book 2 will also be available for pre ordering from the 21st of April, with the price being the same, that is, $1299.99. As far as the other model, the 10.6 inches version, is concerned, it is offered only with Wi Fi connectivity. This version of the Samsung Galaxy Book 2 will also be available for pre ordering from the 21st of April, at a lower price of $629.99. Customers can reserve the above versions by pre ordering them at Samsung.com or they can pre order them from retailers like Best Buy. However, the Samsung Galaxy Book 2 will be available all over the US from the 21st of May. It will be available in silver color option, whereas the black color version can be bought only at Best Buy. The 12 inches version of the Samsung Galaxy Book 2 comes with a Super AMOLED screen display, with a resolution of 1440 x 2160 pixels, full HD. The processor is the 7th gen Intel Core, i5 along with the dual core 3.1 GHz. The RAM is 4GB and the SSD is 128 GB, for both the basic LTE version and the Wi version. However, the premium Wi Fi version comes with 8 GB RAM and an SSD of 256 GB. The main camera comes with a resolution of 13 MP and the secondary selfie camera has a 5 MP resolution. The Samsung Galaxy Book 2 comes equipped with a battery of 39.04 W and offers 11 hours of juice, with quick charging abilities. A complete charge can be done within 3 hours. It also comes with Windows 10 OS pre installed in the device. As for the 10.6 inches version of the Samsung Galaxy Book, it is available in Wi Fi connectivity option only. It has a TFT screen display with a full HD resolution of 1280 x 1920 pixels. The processor is the 7th gen, Intel m3 with dual core 2.6 GHz. It comes in two variants, one having 4 GB RAM and 64 GB internal memory; the other variant also has the same RAM of 4 GB but a higher internal memory of 128 GB. The device offers a microSD card for expanding internal memory up to 256 GB. It also comes with Windows 10 OS pre installed.